Here’s what we learned about hiring developers in the last years. Hiring developers is hard. Here’s what we learned in the last 3 years. No matter to whom in tech I talk to. Most people and tech companies seem to struggle with hiring developers. And since I have the feeling that hiring is a topic that doesn’t get too much talk and attention (maybe because of people struggling with it), I think it’s our obligation to share the biggest lessons we’ve learned at Usersnap. In most tech companies, especially those fast growing ones, hiring is a top priority. People are one the core success factors for every tech company. Mediocre teams do not build great companies. When looking at most startups and small companies, we see that hiring is a big topic among CEOs and/or co-founders. In most cases, small companies do not have their own Human Resource department or a HR person. The responsibility of hiring people is mostly assigned to the CEO or is shared between the co-founders. Moritz Plassnig, CEO at Codeship, wrote this great piece on hiring and why hiring is the single most important skill as a founder. Hiring is not magic, it’s not luck, it’s a skill. Hire the best full stack developers you can get. In general, there are quite a few discussions on whether to focus on hiring specialists (e.g. front-end, back-end developers) or generalists (full-stack developers). Depending on your team size, your answer probably differs. Go general. And hire the best full stack developers you can get. It would demand you to know all of the programming languages. Or at least the most used ones. You need to be good at working with everything, ranging from databases to user interfaces and the stuff in between. But is that even possible? Is it unrealistic to expect someone to be good at everything? According to Stackoverflow’s developer study, 73% of all developers think that diversity is “at least somewhat important in the workplace”. And even more important developers who influence hiring decisions are “more likely to believe in the value of diversity” than other developer types. Hiring a diverse tech team is not easy, however, it must be on everyone’s list and luckily the first startups and company publicly share their diversity facts. 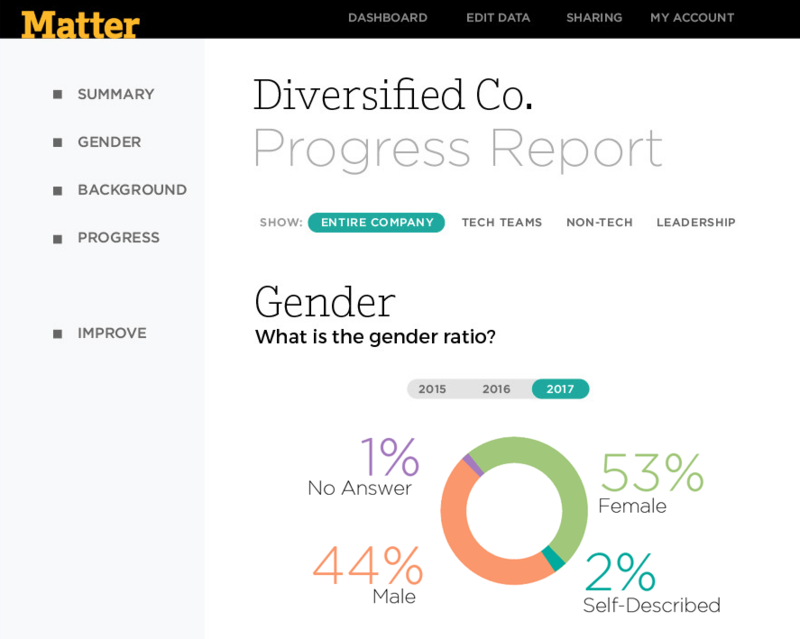 Matter, a new company by Buffer co-founder Leo Widrich, is helping other companies to attract a more diverse pool of applications. Go in on remote or stay out of the remote game. There’s a big buzz about remote work and digital nomadism nowadays. And it’s great. It was never easier to work wherever in the world you like. And from a hiring perspective, it seems to be pretty promising to hire remote developers as well, as it allows you to better scale up your team and resources. However, there’s a big but here. At least for us. First of all, you need to make sure to get a clear head on the definition of remote vs distributed teams. 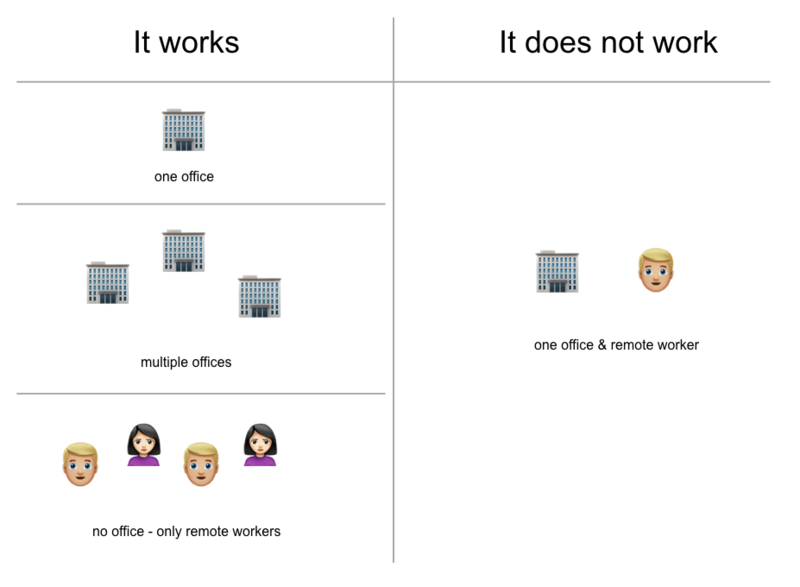 Our friends at Blossom wrote this great article on remote vs distributed teams. Go and check out their distributed team test. We truly believe that more and more jobs will be done via remote work. We, as a team with offices in two different cities, learned that having one (or two) physical offices and remote team members is a challenge. Think of all the communication which is going on in a physical office and which needs to be transported to your remote workers. Don’t get me wrong here. If you do not have the required technical skills, cultural fit won’t save you. However, it’s easier to teach someone technical skills. Teaching someone how to fit into our culture, on the other hand, is close to impossible. I don’t want to state that you need to find people who are similar. It’s pretty troublesome in the long run if you only hire developers with whom you can be best friends. Overall, it’s important that the people you are going to hire share the same company values and visions. As stated in the headline, hiring developers is not easy. There are quite a few obstacles you need to overcome. And even if you’ve found the best developer which is willing to work for you, you still need to ensure that you’re building a diverse team with a shared vision. As remote work is gaining popularity, you also need to find a clear answer on where you stand at that topic. As we at Usersnap are still growing the team, I’m sure that there will be many more lessons we learn in the upcoming months and years. PS: We have some open vacancies and look for frontend-, backend-, and full stack developers. Come and join us on our journey! ?